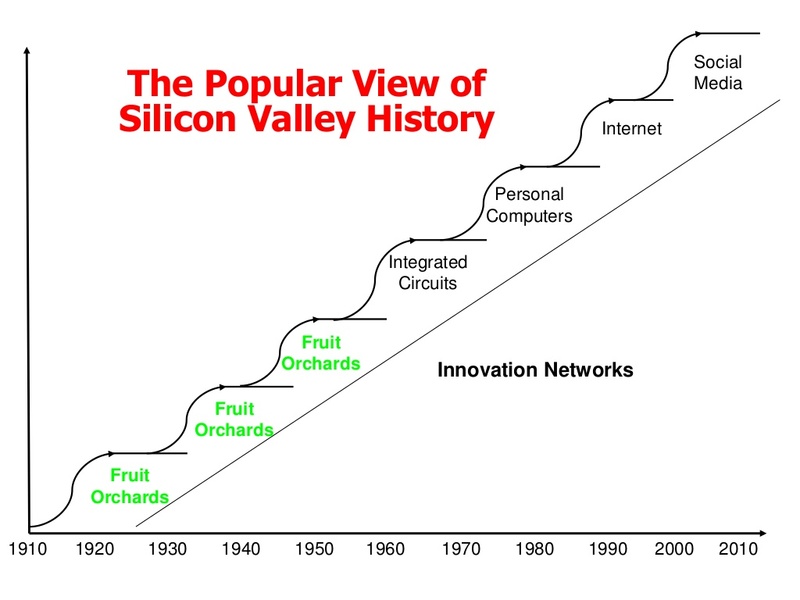 Silicon Valley is the cradle of a unique way relevant to innovation, entrepreneurship and global business development. To note that this legendary geographical does not simply relate to the latest technological developments but also to the way they are stimulated and made grow through original business models and a business ecosystem that in terms of structure and mindset is arguably still unrivalled on a global scale. We have had the opportunity to talk to an Italian student that has recently had an in depth organised learning experience there. Gianluca Biggi participated to a 2017 PhD+ programme and he was one of the winners. This gave him the opportunity to partecipate to an entrepreneurial training in Silicon Valley lasting 2 weeks in Menlo Park. This has been an enlightening experience from a professional and personal point of view. That kind of experience that are set to empower a new vision for the own professional path driven by: continuous learning, active knowledge sharing and never forgetting to stay ‘rooted to the ground’ while envisioning the future. 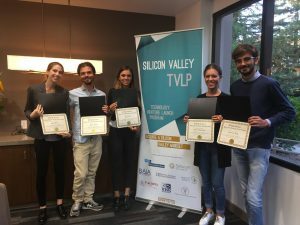 Tell us about your program at the Silicon Valley Business School during the TVLP (Technology Venture Launching Programme) course? 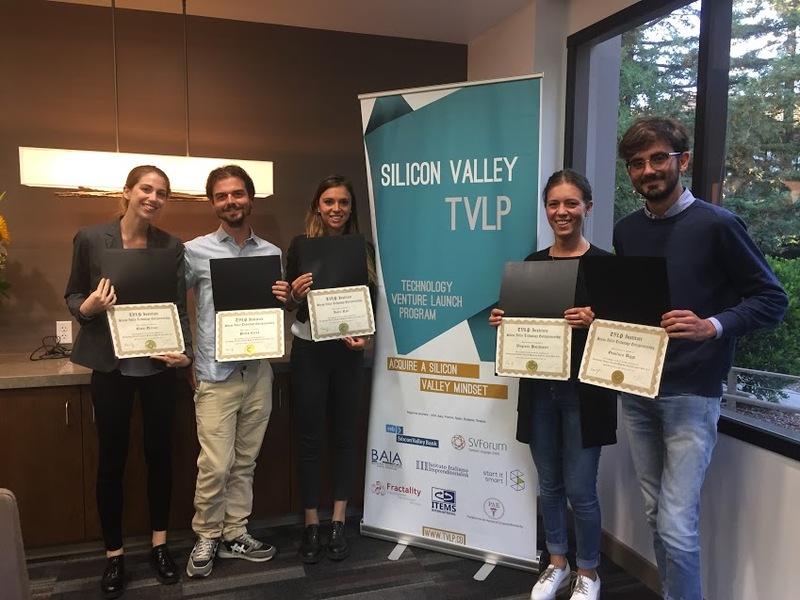 (Gianluca) “The course was held at Menlo College in Menlo Park and was characterised by frontal lectures by professors from the top universities in California, U.C. Berkeley, Stanford, and Santa Clara. Not only, we did lot of visits to the major firms and startups of the Valley and we participated to several networking events with managers and investors”. (Gianluca) “To fully understand the scope of the experience in Silicon Valley, is important to focus to the evolution of this area and on what make it the largest technology ecosystem in the world. In the early twentieth century this area was known for the great quantity of orchards enough to make it the world’s capital of fruit. Progressively, with the onset of the Cold War, the war industry began to develop. The term Valley can be misleading, in fact, it is better to define this area as a large manufacturing district that includes many industries. The development of an area including 6 million of people with $ 600 billion of GDP has been possible thanks to the (fundamental) presence of important universities, venture capital funds, adequate infrastructures and a culture of attraction and integration from talented people from all over the world. 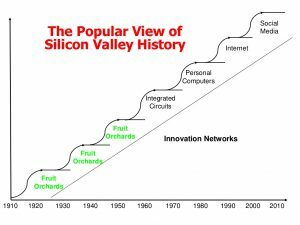 The trajectory of all this was the development of the semiconductor industry produced by legendary companies such as Fairchild semiconductor, INTEL and Signetics. All this was coupled with the growth of numerous venture capital facilities that founded tall those startups that could not get credit from the traditional banking system. Thanks to investments, continued research and development in the semiconductor industry between the 1970s and the 1980s led to the development of the mainframe computer industry and companies such as Apple, IBM and Sun Mycrosystem were created. Likewise, and thanks to the knowledge developed over the years, the next were characterised by the development of corporate software such as Oracle, VMware and Citrix until the 2000s characterised by the explosion of social media such as Facebook, Twitter and LinkedIn”. There is a picture that was shown to us by the title “Silicon Valley Tech Innovation Ecosystem” during one of the lessons of the course and was in my opinion the most emblematic. By meeting people working in Silicon, by visiting their offices and moving around this area, you can understand how this today represents an enormous technology ecosystem where the resources generated by people who succeed in business success, are constantly reinvested in new entrepreneurial initiatives. 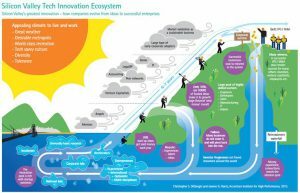 About ecosystems, from an entrepreneurial point of view, would you be able to better describe the logic that drives investors and entrepreneurs in general? Certainly, these are the aspects that most affected me. Let’s start from the notion that as far as the environment in which a startup is extremely competitive and the mortality rate of the latter is extremely high. Entrepreneurs and investors usually take into account a mortality rate of businesses around 98%, but despite all, they continue to invest looking for the new Google, Facebook or Uber. Another factor of great concern is the consideration of bankruptcy in the business environment. Many entrepreneurs yin Silicon Valley have launched the fifth, sixth or seventh startup and they “failed” in all. That is a factor that is not considered as a shame or is hidden, indeed, people tend to appear and parry before their “Defeated” than their “victories”. In this case, the lack of entrepreneurial success means only having acquired a wealth of knowledge to reduce the risk in subsequent economic initiatives, so investors (always paying due attention) privileged projects presented by people who in the past have been tempted more than a startup. At first you talked about events where you got in touch with Valley entrepreneurs and investors, could you tell us something more? Certainly, one of the typical activities that take place at the end of the working day are the networking meetings. Usually, they organise many “talks”, that is, events preceded by small refreshments where you are assisting in the intervention or a debate among the protagonists of Silicon Valley. The time before the talk is the most important part because people begin to meet and confront, exchange ideas, opinions and make important relationships in the workplace. The informality with which these meetings take place is truly extreme and none of the people I knew asked me anything about my qualifications, I was asked for information about my work experience. Could you find a common element characterising the attractiveness of projects to Silicon Valley investors? Obviously everything depends on the context, the type of background with which you are interacting, but, in general, the first thing that is observed is the so-called scalability (scalability means how easily you can expand your product and your business model). If a business project has no scalability in terms of unlimited users and pure replication of the launching country, it is difficult to take into account. Could you talk about some meetings that impressed you? Certainly, for sure meeting with Fred Cohen, one of the very first days of arrival. Fred is a 60-year-old man, one of the pioneers in the creation of computer viruses, specifically the one who invented the concept of computer virus and who created the first protection system from it, in short, invented the anti virus! Fred is a very famous person and is also known to be a great investor. Despite his great reputation, his tremendous financial standing had no problem with exchanging a few words with me without being pretentious or arrogant. For now you have only listed positive aspects about your experience, can you tell us what did not convince you, and if you did notice some negative aspects? Obviously, what has been said so far must keep in mind that the Silicon Valley’s economic miracle entails a number of important costs. First of all, the pressure on people (startup employees, executives, and the same founders) is difficult not to be overwhelmed by it. In any case it is a meter of a choice made of awareness. This is due to the fact that the context is extremely competitive, innovating continuously is an intrinsic part of the system not simply a last desperate resort of survival like in Italy. AS AN OVERALL MODEL: SCALABLE IN ITALY? After this experience, what about a Silicon Valley mindset in Italy? what can be done by younger generations like yours? “Actually I have been thinking since my trip back to Italy and I have come to identify some key points that we, as younger generations, need to seriously consider in order to stimulate the Italian entrepreneurial system to grow in new effective ways related to the various social and economic complexity that are present today and will be more present in the future”. Contribute to generate an informal vibrant access to investors’s network; in Silicon Valley investors have a very open and informal (yet totally pragmatic) mindset. Gianluca’s generation has no doubt lots to offer in terms of skills and ideas needed to develop an economic system and their future; there are many barriers to do this, yet the overcoming of them starts from them mindset: awareness and focus that a mindset shift is needed for strong determined action. Experiences that like the one Gianluca had the opportunity to have can contribute concretely to that and we are sure that he seeks to actively discuss such topics in order to find some more people willing to develop such active views for the future.